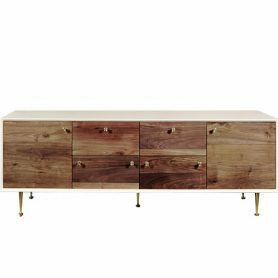 Luna 4 Cabinet by Organic Modernism NY is an elegant design sideboard. 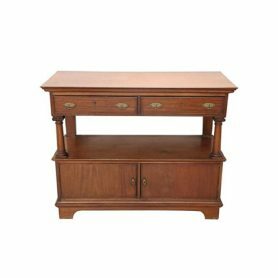 With a retro and original features, it is the ideal piece of furniture to furnish your home in a vintage style. Organic Modernism is a Danish company that produces furniture and design accessories for home and office. 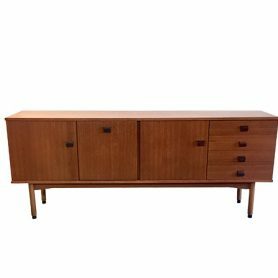 60s Sideboard is an elegant living room cupboard in precious teak wood. It is the perfect piece of antique furniture for decorating your home with vintage-retro style. 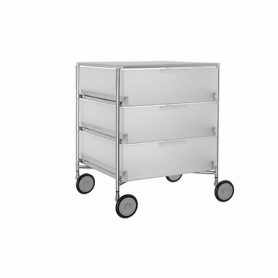 Boby B32 by B-Line is an original 1970s container trolley designed by Joe Colombo. Drawers, shelves and containers make it perfect for use in the office. Extremely useful object with a nice design. First SMAU award in 1971 and part of the permanent collection of the MoMA in New York and the Milan Triennale. B-LINE is a company from Padua that produces Italian-made design furniture for home, office and contract, for indoor and outdoor. 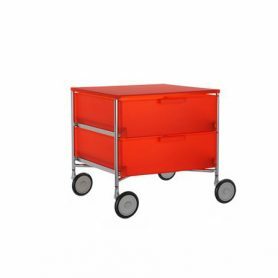 Mobil 2 drawers with wheels by Kartell is a storage item designed by Antonio Citterio and Oliver Löw. It belongs to the homonymous collection of containers awarded with the Compasso d’Oro in 1994. It adapts perfectly to any style of furniture. Ideal for your office or as a bedside table but also for furnishing your bathroom. Kartell is an Italian company that produces furniture and objects with a refined design since 1949. 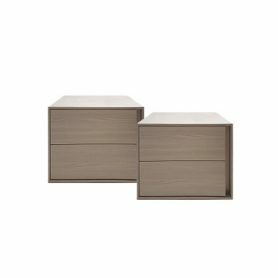 Mobil 2 drawers by Kartell is a storage item designed by Antonio Citterio and Oliver Löw. It belongs to the homonymous collection of containers awarded with the Compasso d’Oro in 1994. It adapts perfectly to any style of furniture. Ideal for your office or as a bedside table but also for furnishing your bathroom. Kartell is an Italian company that produces furniture and objects with a refined design since 1949. Set of 2 vertical wall units designed and manufactured by Veneta Cucine. 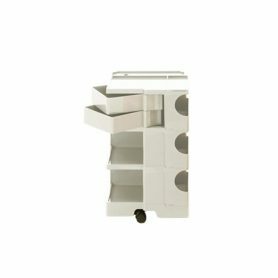 Essential and functional design, with useful shelves for storing books or other objects. 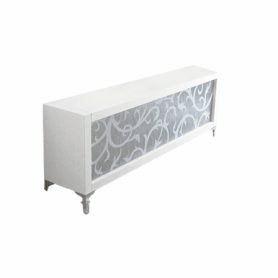 Furniture that can be matched with the rectangular Sideboard of the same color and brand on our SHOP. Veneta Cucine is an Italian company that produces and distributes Made in Italy furnishings in a classic and modern style. 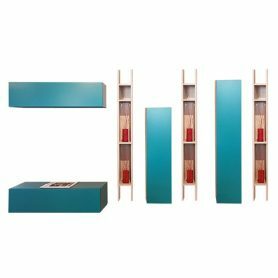 Sistema Bookcase by Cappellini is an elegant and functional Made in Italy furnishing item. 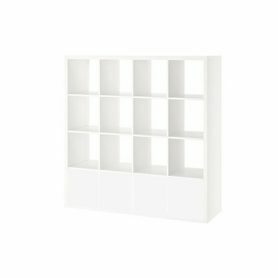 It adapts to any style of furniture and is perfect for storing books, magazines and small objects. Thanks to the two containers at the bottom it is ideal for all uses. Cappellini is an Italian company that produces design furniture since 1946. Console of 1910, a piece of unique modernism designed by Ernesto Basile. Italian architect and exponent of modernism and Art Nouveau, from 1902 Basile was the artistic director of Ducrot, an Italian manufacturer of furniture founded by Vittorio Ducrot. 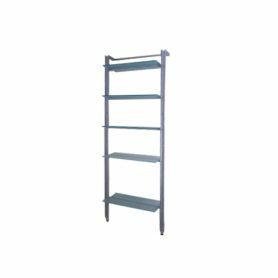 This creation has graceful decorative columns with capitals and is useful for storing books or small objects. Pull nightstands by Mercantini are modern and youthful design furniture items. They are perfect to combine with a double bed with wood finish and neutral colors, such as the Spot bed of the same manufacturer. Mercantini is a historic Italian company active in the Made in Italy design furniture sector since 1956. Set living Butterfly by Novamobili is a wall composition of colorful and modern living furnitures. 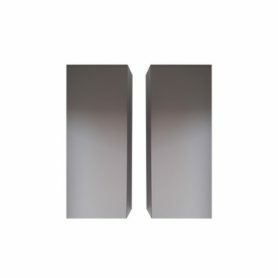 It is a versatile set: flaps, wall units and bookcases can in fact be placed as you desire to compose your living room. It gives color to your room and with its essential shapes it is perfect for furnishing any environment. Novamobili is a Made in Italy design brand that produces high quality furnishing items. 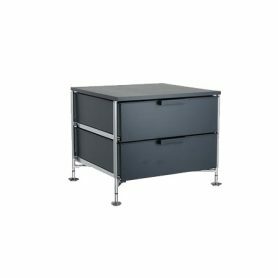 Drawer by Cappellini is a furniture storage of the “Sistema” Collection. 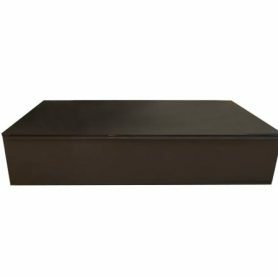 It is a large and spacious drawer with an elegant design, perfect for decorating the living area of your home. Cappellini is an Italian company of Carugo that produces design furniture since 1946. 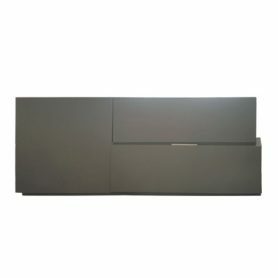 Ego by Le Fablier is a cupboard, a simple but functional sideboard. It is ideal for furnishing any environment with a modern style. Le Fablier produces contemporary, classic and modern furniture with Made in Italy design. Vola 2 by Bonaldo is a design cupboard with a simple shape. It is a precious piece of furniture ideal for furnishing any environment of your home. Bonaldo is an Italian company that produces tables, chairs, sofas, beds and design accessories in collaboration with famous designers. 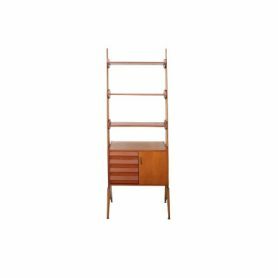 Wooden bookcase is a piece of antiques furniture made in the 1970s. A unique item perfect for decorating your home or office with vintage / retro style. 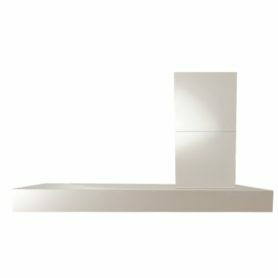 Set living Box by Novamobili is a composition of wall furniture with essential lines. The numerous storage spaces are useful for storing books, crockery and various objects. Its monochromatic color give elegance to any living room. Novamobili is a brand that produces Made in Italy design furniture. Modern by Porro is a collection of modular living furniture that you can compose as you desire. It has essential and elegant shapes and modern design: a furniture collection perfect for decorating your new home. Porro is an Italian company that produces design furniture in a contemporary style for home and office. 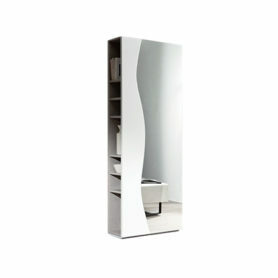 Diagona by Novamobili is a wardrobe with a modern and elegant design. 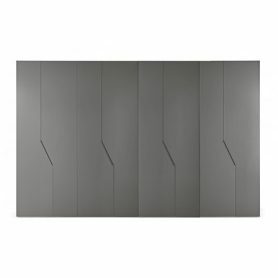 Its particular diagonal doors give a touch of style to any bedroom. This piece of furniture is internally equipped with drawers and hangers to arrange your clothes neatly. Novamobili is a company that produces Made in Italy collections of furniture and design accessories. 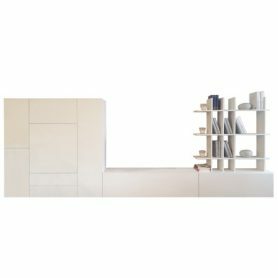 Armida by Desalto is a design bookcase perfect for furnishing your office with a modern style. Desalto is an Italian company that produces iconic design items since 1990. 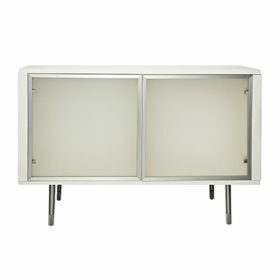 L3 Mobil by Kartell is a versatile and light chest of drawers, ideal for your office, bedroom, living room or bathroom. Mobil Collection was designed by Antonio Citterio and Oliver Low and won the Compasso d’Oro in 1994. Kartell is a design icon brand known all over the world. Picasso is the collection of cupboards that marks the story of Riflessi. A collection three shapes, materials, finishes, decorations that offers numerous possibilities for personalization, whose variety justifies such an important name that today sounds like a very topical ante litteram tribute. Elegant entrance unit featuring essential and clean lines. Pacini & Cappellini has been making contemporary furniture complements since 1982. Describe the design item you are seeking, our team will start scouting for it in your behalf!